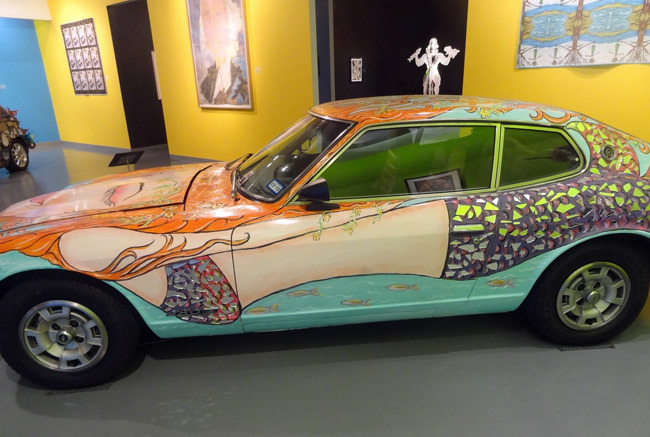 Art and cars are both awesome on their own, but put them together and you have the Art Car Museum in Houston. 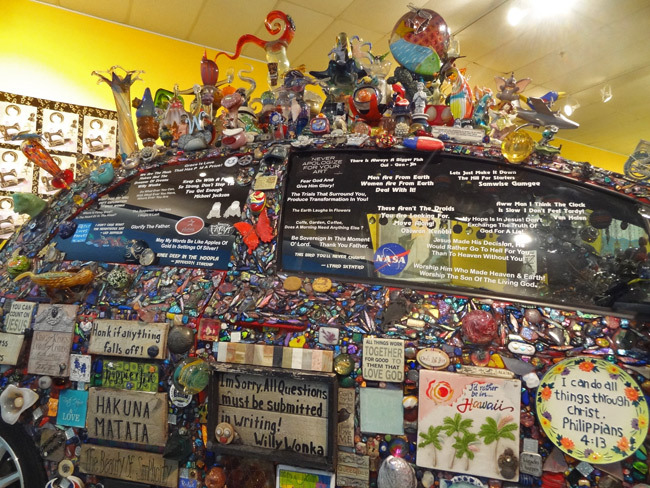 This small facility displays a handful of cars decorated in all sorts of crazy designs. 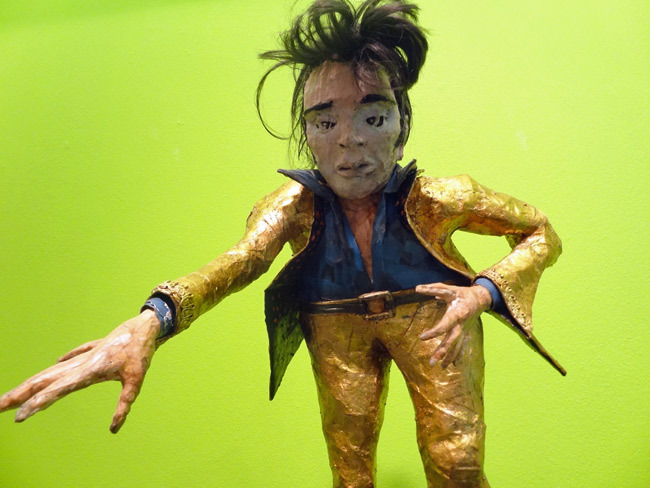 Some have toys and trinkets glued all over them. Some are just painted funny. All are fascinating to see. The car shown at the top of this post is called Planet Karmann. 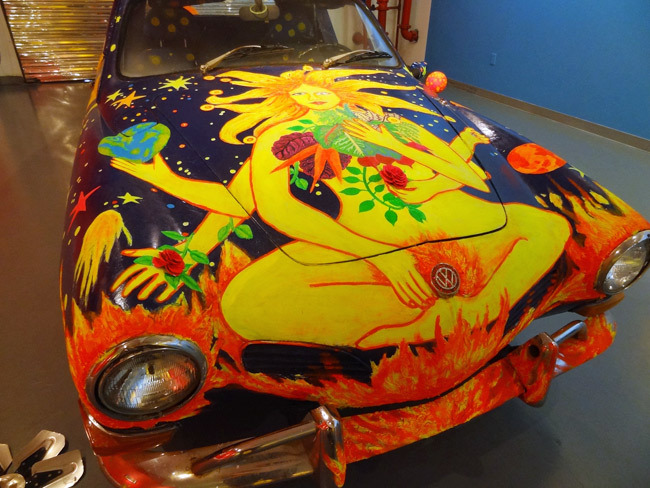 The 1971 VW Karmann Ghia was created by Shelley Buschur and depicts a woman floating peacefully through the cosmos. This next car, titled Z-ena the Mermaid, is my favorite. The colors are cool on this 1975 Datsun 280Z by Bonnie Blue. 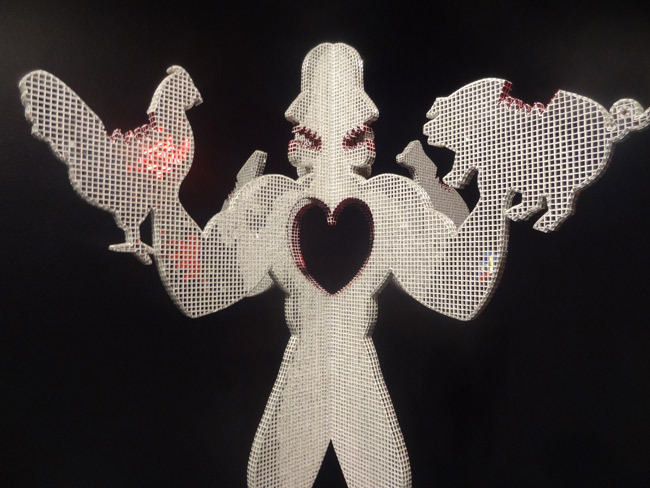 It was inspired by her experience on Galveston Island and it was even featured on Ellen. 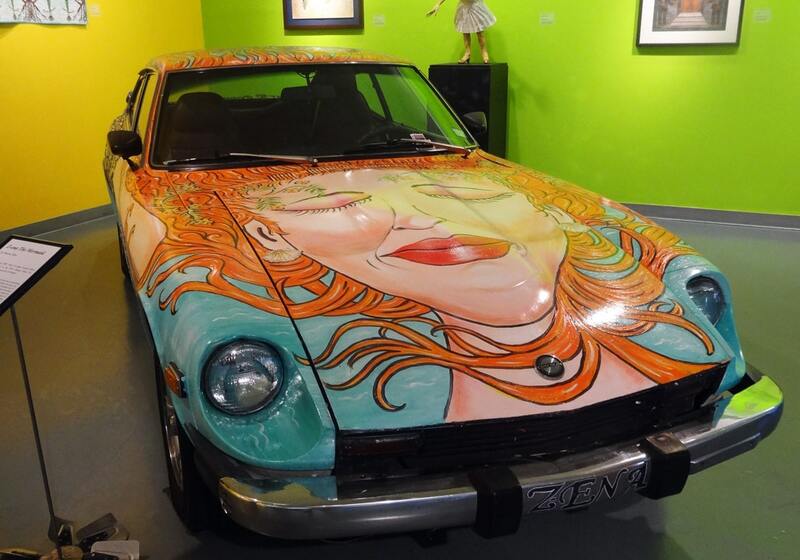 The Art Car Museum is free, and it’s one of the better spots to find quirky culture in Houston, so drop by when you’re in town. Great Article! I would love to drive around in a car like that, looks fab! We love the quirkiest of the South! So many random and perfectly unique things to see. Great post, we’re looking forward to spending 3 months across Texas and Louisiana next year. 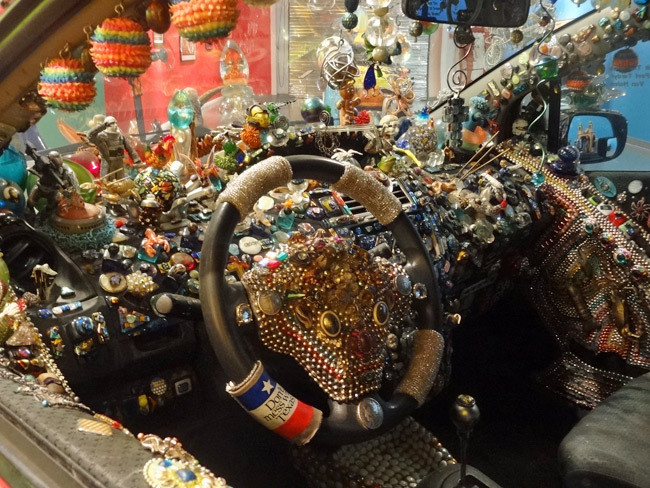 and we’ll be sure to check out the Art Car Museum.